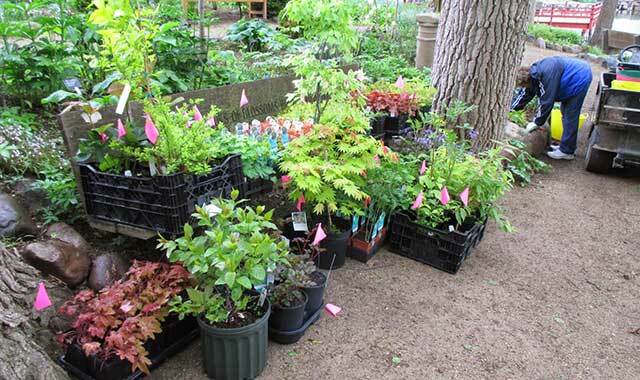 Stock up your garden with plants from several local sales, including one at Klehm Arboretum, in Rockford, on May 5-6, and one at Rotary Botanical Gardens, in Janesville, on May 12-14. 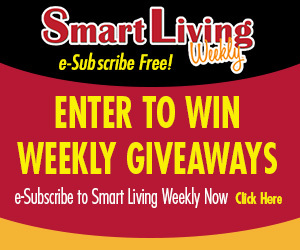 Through May 21, Tue.-Fri. 9 a.m.-5 p.m., Sat.-Sun. 10 a.m.-3 p.m. Enjoy being surrounded by butterflies in a tropical conservatory, and see the whole butterfly life cycle in action as you view butterflies emerging from their chrysalis in the emergence area. Nicholas Conservatory & Gardens, 1354 N. 2nd St., Rockford, (815) 987-8858, nicholasconservatory.com. April 6, 4-6 p.m. The University of Illinois College of Medicine Rockford and Thermo Fisher Scientific Inc., host presentations by research mentors for a Summer Science Internship Program. UIC Health Sciences Campus – Rockford, Robert J. Vickrey Auditorium, 1601 Parkview Ave., Rockford, (815) 395-5680, rockford.medicine.uic.edu. April 6, 4 p.m. Dr. Penelope Boston is the director of NASA’s Astrobiology Institute. Rockford University, Severson Auditorium, 5050 E. State St., Rockford, (815) 226-4100, rockford.edu. April 7, 9:30 a.m. Enjoy a delicious lunch, prepared by Greenfire Restaurant, followed by an informative and entertaining presentation by acclaimed garden designer and style maker Jon Carloftis. Klehm Arboretum & Botanic Garden, Visitor Center Gallery Room, 2715 S. Main St., Rockford, (815) 965-8146, Klehm.org. April 8, 9-11:30 a.m. Naturalist and Illinois Bee Spotter Barbara Williams presents on bumblebees and other native pollinators. Forest Preserves of Winnebago County Headquarters, 5500 Northrock Dr., Rockford, winnebagoforest.org. April 14, 2-5 p.m. Celebrate the remarkable women of Geneva Lake while taking a voyage with the Lake Geneva Cruise Line to Black Point Estate, an 1888 Queen Anne Victorian “summer cottage.” This narrated boat tour focuses on many of the remarkable women who have lived along the shore of Geneva Lake. Tours leave from Riviera Docks, 812 Wrigley Dr., Lake Geneva. Info: (262) 248-1888, blackpointestate.wisconsinhistory.org. April 22, 9-11:30 a.m. Ed Cope, restoration ecologist at Natural Land Institute, presents on rare and endangered native plants of Winnebago County. Forest Preserves Headquarters, 5500 Northrock Dr., Rockford, winnebagoforest.org. April 18, 5:30 p.m. silent auction and reception, 7 p.m. dinner and program. ZION Development holds its annual banquet and silent auction with a presentation from the Presiding Bishop of the Evangelical Lutheran Church in America, the Rev. Elizabeth Eaton. Giovanni’s Restaurant & Conference Center, 610 N. Bell School Road, Rockford, (815) 964-8280, ziondevelopment.org. April 22, 10 a.m.-3 p.m. Learn about the importance of Earth Day, and enjoy food from local food truck vendors and entertainment provided by the Zoozort mini zoo. A live animal program is the highlight of the day. Rotary Botanical Gardens, 1455 Palmer Dr., Janesville, (608) 752-3885, rotarybotanicalgardens.org. April 25, 6:30-7:45 p.m. Discuss “The Perfect Horse: The Daring U.S. Mission to Rescue the Priceless Stallions Kidnapped by the Nazis” over coffee. Rockford Public Library, 215 N. Wyman St., Room C, Rockford, (815) 965-7606, rockfordpubliclibrary.org. April 29, 9 a.m.-4 p.m. Experience American frontier life through the 1840s. Meet traders and trappers, French voyageurs and Native Americans. Experience food and mercantile vendors, demonstrations, militia maneuvers and black powder shooting. Tour original buildings on a national historic site and meet Stephen Mack as he shares his home with you. Macktown Living History Center, 2221 Freeport Road, Rockton, Ill., (815) 624-4200, macktownlivinghistory.com. May 3, 11:30 a.m. social hour, noon lunch. A Living History Presentation with our most acclaimed First Lady. Award-winning actress and scholar Leslie Goddard portrays Eleanor Roosevelt, one of the most fascinating and influential public figures of the 20th century. Octane Interlounge caters lunch. Rockford Woman’s Club, 323 Park Ave., Rockford, (815) 965-4233, rockfordtheater.com. May 5-6, Fri. 5-8 p.m., Sat. 9 a.m.-4 p.m. Shop a selection of plants, including unique varieties from local nurseries. Klehm Arboretum & Botanic Garden, Rockford, (815) 965-8146, Klehm.org. May 6, 10 a.m.-noon. Step inside the historic 1841 Foster House to see how 19th century Fort Atkinson residents lived, and learn about how the community grew. Hoard Historical Museum & National Dairy Shrine, 401 Whitewater Ave., Fort Atkinson, Wis., (920) 563-7769, hoardmuseum.org. May 12-14, 9 a.m.-6 p.m. This annual sale features more than 100 varieties of vegetable plants, many varieties of herbs and hundreds of perennials. A wide assortment of shrubs and small flowering trees are also available. Rotary Botanical Gardens, Janesville, (608) 752-3885, rotarybotanicalgardens.org. May 13, 10-11 a.m. Meet at the Oak Hill Cemetery Chapel for this informal historical walk led by Sherry Thurner. Wear comfortable walking shoes and dress for the weather. Oak Hill Cemetery, 1725 N. Washington St., Janesville, (608) 757-3171, janesvillecvb.com. May 13-14, Sat. 8 a.m.-4 p.m., Sun. to 3 p.m. Celebrate wild birds during the time when they migrate through our area. Sand Bluff Bird Observatory is capturing wild birds, putting a band on their leg and releasing them. There are many kids’ events and exhibits. Sand Bluff Bird Observatory, 5209 N. Haas Road, Shirland, Ill., (815) 629-2671, sandbluff.org. This entry was posted on Thursday, March 30th, 2017 at 11:58 am	and is filed under Mind & Spirit. You can follow any responses to this entry through the RSS 2.0 feed. Both comments and pings are currently closed.